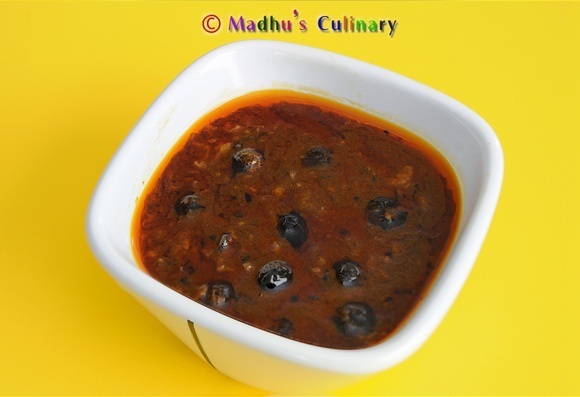 Manathakkali (Black Nightshade) Vathal Kuzhambu ->Suvayo Suvai | Simple Vegetarian Recipes, Easy to prepare and healthy to eat! 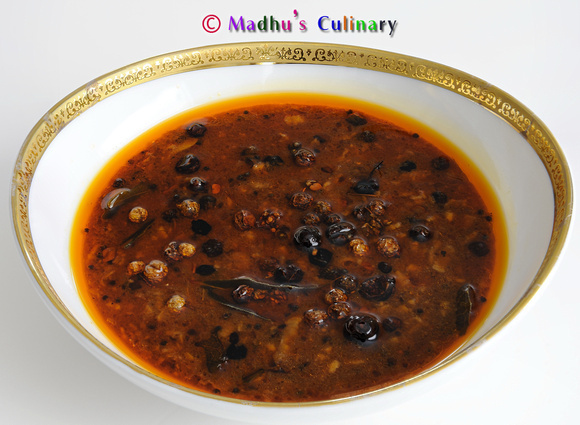 Manathakkali – The black nightshade is used as an important ingredient in several Indian medicines. It is a valuable cardiac tonic. It corrects disordered processes of nutrition by which the organism ingests, digests, absorbs transports, utilizes and excretes food substances, and restores the normal function of the system. It also reduces excitement, irritation and pain. Soak the tamarind in warm water for approx 10 min. Mash the tamarind well and extract (filter) the water. Take a kadai and heat the oil. Then add mustered seeds. 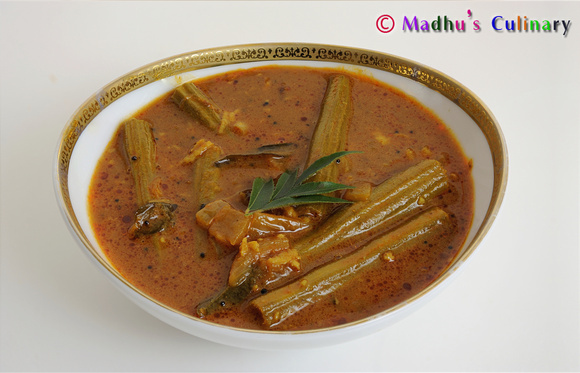 When it splutters, add toor dal, fenugreek seeds and curry leaves and stir it well. 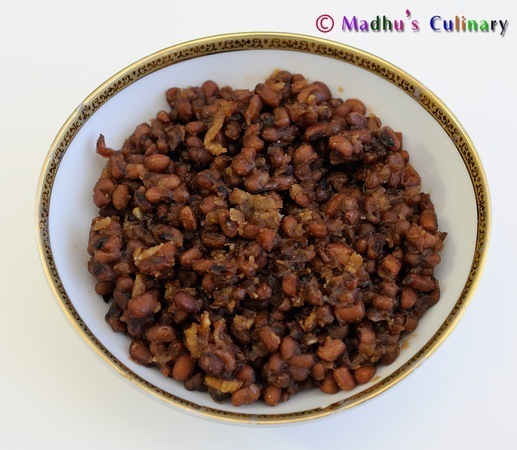 Add Manathakkali Vathal fry until brownish black color. Make sure Manathakkali Vathal doesn’t burn. Cook it in the medium flame. Add Sambar powder, turmeric powder, hing and grated coconut and mix it well. Then add tamarind water and salt, stir it well. Cook until the raw smell is gone. Add the grated jaggery and mix it. Boil until the oil seperates out (you can see it float on top). 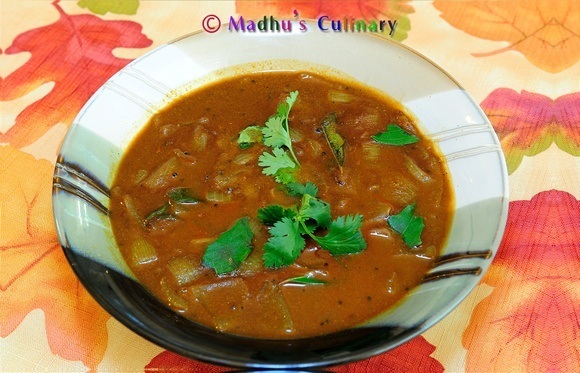 Serve it hot with rice, potato poriyal and papad. Be careful when adding salt as the Manathakklai Vathal itself has some salt in it.